The textile industry in India can be classified into the organized sector and the decentralized/rural sector. The organized sector comprises mills, which include the spinning mill or the composite mill. 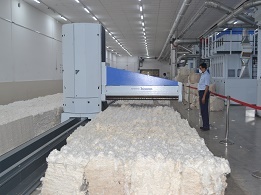 The decentralized power-loom/hosiery and knitting sectors form the largest section of the textile industry.